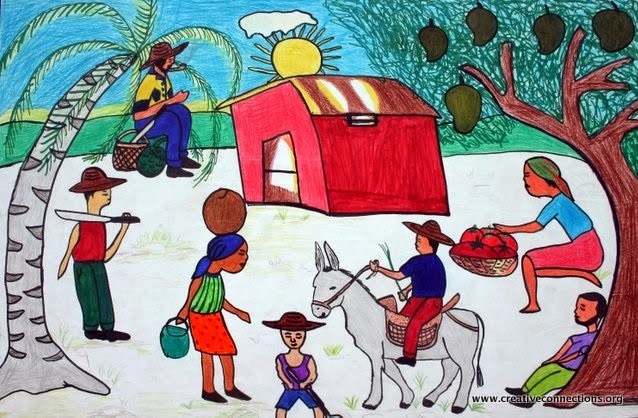 We are thrilled to present this beautiful art work from our new partner school in Haiti. The artist describes his piece, “In this picture someone comes out in the garden. We have mangoes in the garden. There is a woman selling tomatoes. There is a man in the yard cutting grass. The value that is important to me is to encourage people.” We look forward to learning more about the culture in Haiti and continuing to work with students in Haiti.